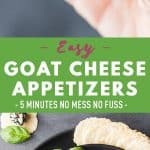 A 10 minute prep and 4 ingredient Easy Goat Cheese Appetizer suitable for any party! 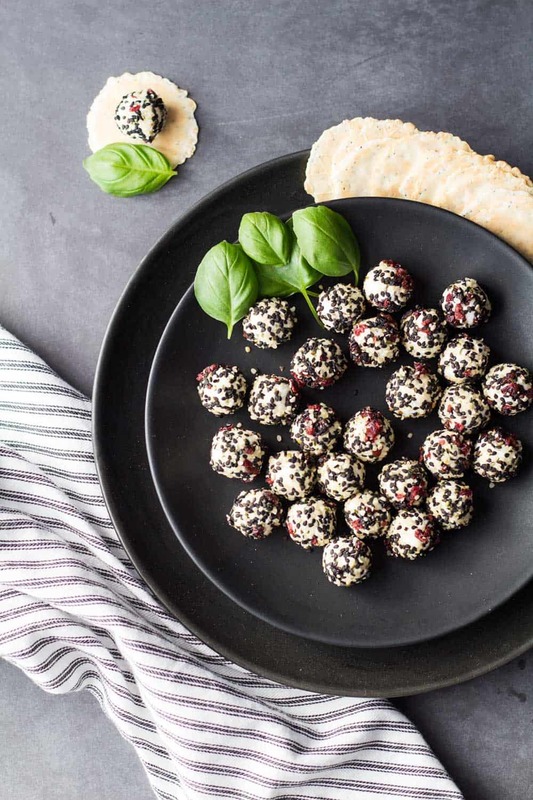 Dried cherries as the secret ingredient of this deliciousness! Chop dried cherries finely and add to a bowl together with black sesame seeds and hemp seeds and combine. 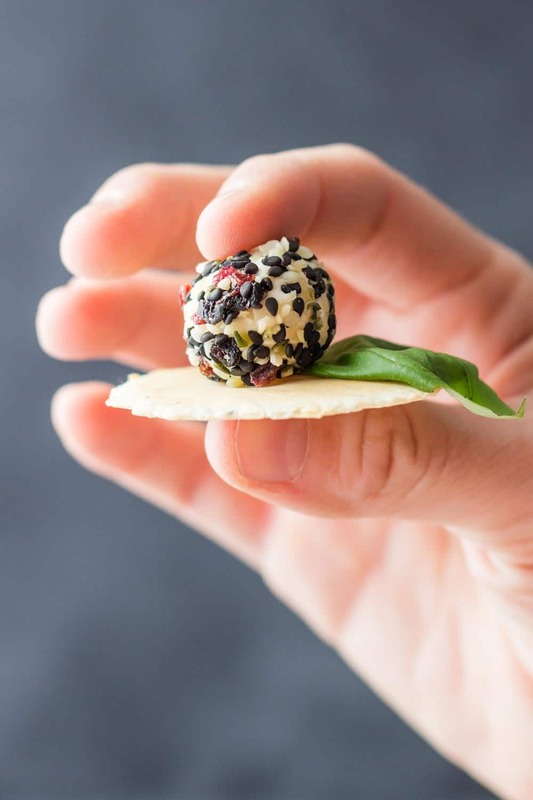 Use a 1 teaspoon measuring spoon and use it like an ice cream scoop to take out about 1.5 tsp of goat cheese from the package and try to keep the balls size uniform. 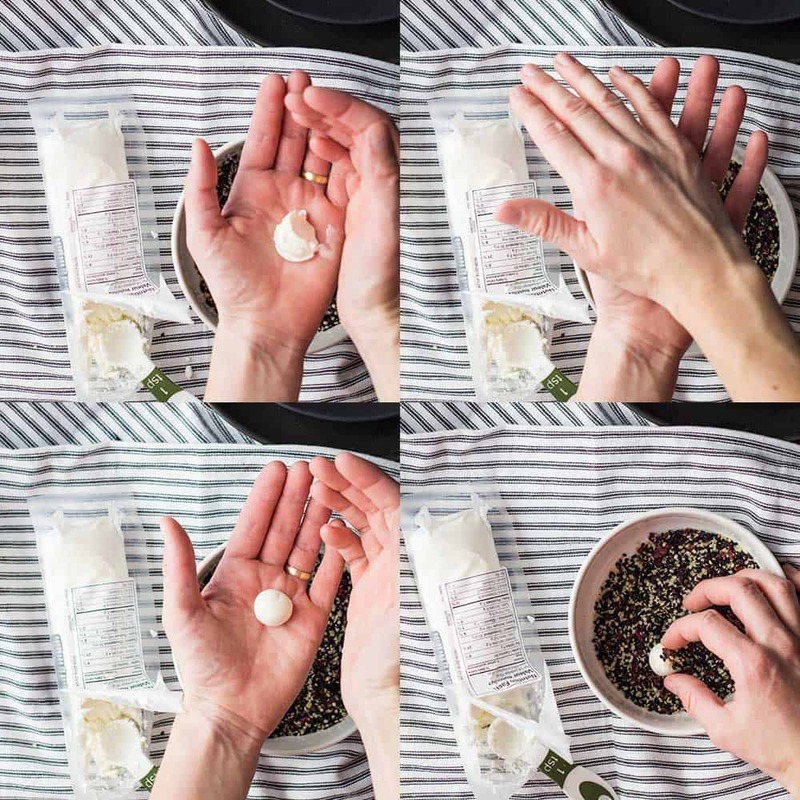 Roll the goat cheese between the palms of your hands until round. 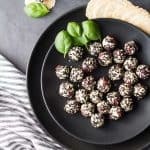 Roll the balls in the seeds and fruit and either place all on a plate with crackers and basil leaves on the side OR place on a cracker right away and give it a bite!